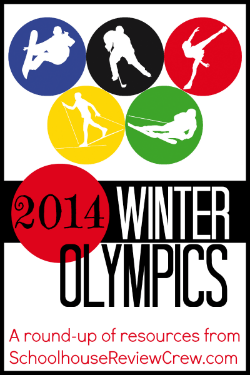 It is still a month before the 2014 Winter Olympics begin in Sochi, Russia. Around here, I have begun working feverishly to find the kinds of resources I want and planning the activity based learning unit for the giggly girls. It has been interesting to try to find resources for the Winter Olympics. There are lots of images out there but not so much in the way of ideas. So, forging ahead, here is what I am working with so far. 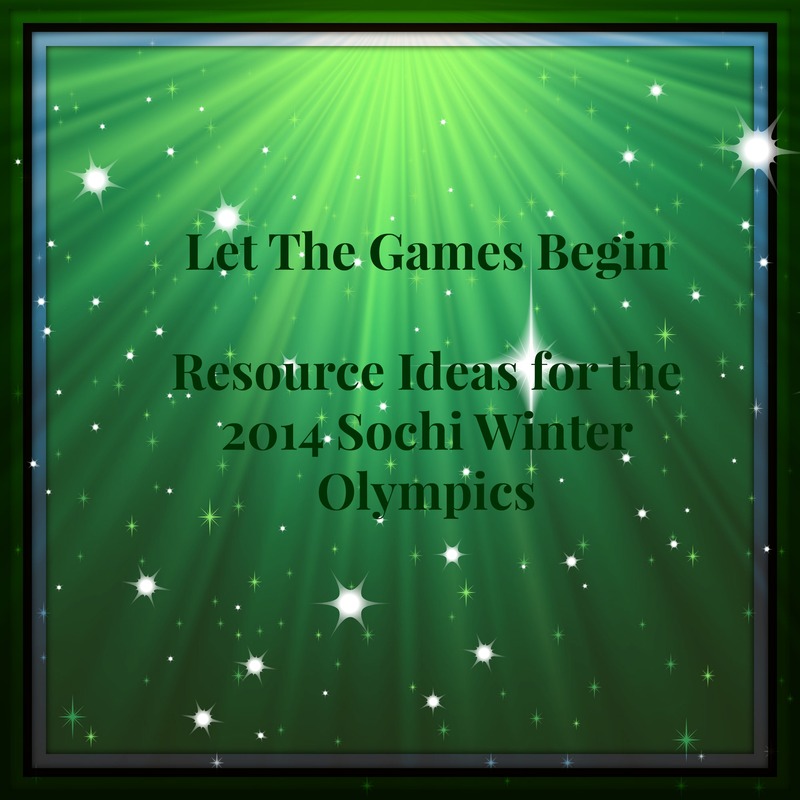 Pinterest – check out my 2014 Sochi Winter Olympics board. I have been pinning a lot of ideas. Some are pretty fully developed ideas but don’t meet my needs and others are just images of something that might be good. I tried to mark the descriptions well when I was pinning and/or repinning. Books – We are reading the Magic Tree House #16: Hour of the Olympics by Mary Pope Osborne. We will also go through the Research Guide for this one, which is titled Ancient Greece and the Olympics. So far, we have checked out a few books from the library about ice skating, since that is where the giggly girls interest is most obvious at this time. We picked out one titled I Am A Skater that is illustrated with photographs and another titled This is Figure Skating. My oldest, with no prompting, picked out A True Book: Figure Skating. The other book in that book basket at this time is the DK Eyewitness Book titled Olympics. We will be checking out more as we go along. The plan is still pretty sketchy but here are some of the things I know we are going to be doing. Food – We will be researching and making some of the foods from Russia, as well as some that are just cute and fun. We may just make this an opportunity for the girls to work on their hospitality skills and throw a party. 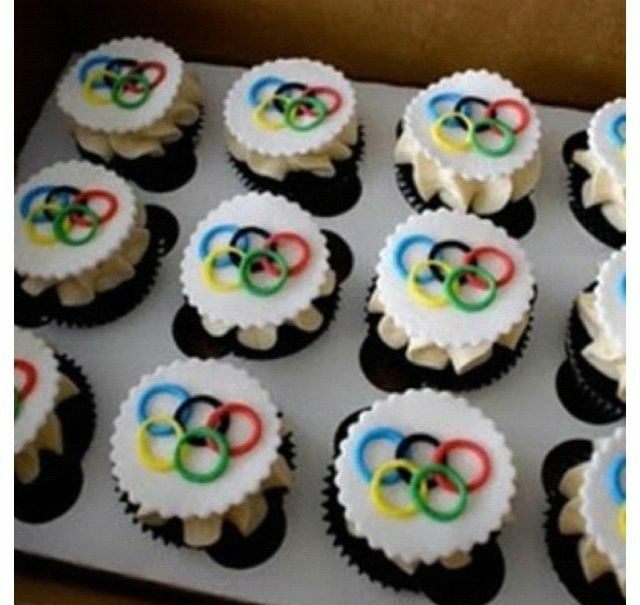 Some ideas include these cupcakes with simple Olympic rings; these Russian stacking doll cake pops; and pirozkhi which are a thin, simple pastry filled with any number of different fillings. I grew up on these but we called them barox. We used a traditional filling of ground meat and cabbage. Scavenger Hunt – We will be doing a scavenger hunt during the opening ceremony for the different countries that are participating in the Olympics. I’ll be working on the printable for this. I am getting the information for this off of the Wikipedia site and the idea came from the Flag Bingo I saw for the 2012 Olympics. Flags (Geography) – We will be comparing the different flags of the countries participating in the Olympics and finding the locations of the countries on a map. Again, this information is going to be coming off of Wikipedia. Medals (Math) – We will be doing a graph and other work associated with the medal counts during the Olympics. In some way, we will assign value to the medals to be doing some number work. Literature – We will be reading and creating from some of the many wonderful books dealing with Russia in all possible genres. The Pinterest board has some unit studies that I am pretty interested in adapting for our use, including this unit study about Russia, a set of printables on The Fool of The World and the Flying Ship, and a lapbook on Rechenka’s Eggs, all from Homeschool Share. Crafts – No project based study is complete without plenty of crafts. I am thinking that we will be doing egg painting, doll design, quilting design (similar to the designs they have chosen for the Olympics), and something with chalk pastels. There will probably be more and I have several pinned on the Pinterest board. Writing – We’ll be doing something here and it will probably include stacking dolls and poetry. The girls each have a set of the stacking dolls, kept at grandma’s house, so this will give us something concrete to look at. I am also thinking about a project writing a newspaper for the oldest giggly girl and a comparison/contrast between two forms of the same sport for the middle giggly girl. I would also like them to write something about one of the athletes competing. Language – The Olympics being hosted by Russia makes this an opportune time to at least look at their language a little bit. It will be a minor portion of the study but we’ll definitely be touching on it. I found an interesting website called Importance of Languages that has pretty good visuals that we will be using. Music – We will be covering the idea and purpose of a national anthem and looking at several of the anthems from around the world. We will also listen to music from Russian composers (one of Tchaikovsky’s ballets, maybe some of The Firebird Suite, and certainly Festive Overture – there are just so many fantastic Russian composers!). If you need information on Russian composers, check out 52Composers.com. Just something I came across. Another must-hear piece is the Olympic theme and we’ll probably pull out one of the recordings of the girls’ dad and I playing it in college. Science – I found some videos on the science of the winter sports produced by NBC. I have viewed a few of them and really like them. They will be of interest to anyone from a fairly young elementary age (just find ones that are of the sports of interest) to adult. They cover so much – physics, medical, physiology, math, and more! We will definitely be using these. Honestly, after writing this, I feel like I have thought this through a whole lot more than I realized! I like that feeling. Please comment and share some of what you are planning or doing for the 2014 Sochi Winter Olympics. I’ll be taking pictures and sharing more details of what we are doing to celebrate the spirit of the Olympics. At Home. For more ideas and resources on the 2014 Sochi Winter Olympics, visit my fellow TOS Review Crew members beginning January 15.